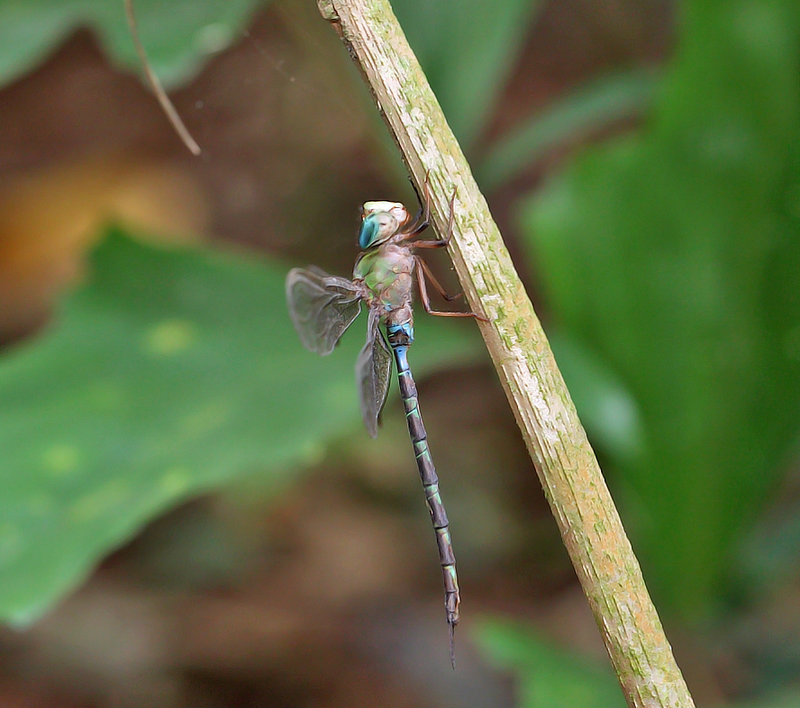 Gynacantha subinterrupta is an uncommon Aeshnidae species of dragonfly. 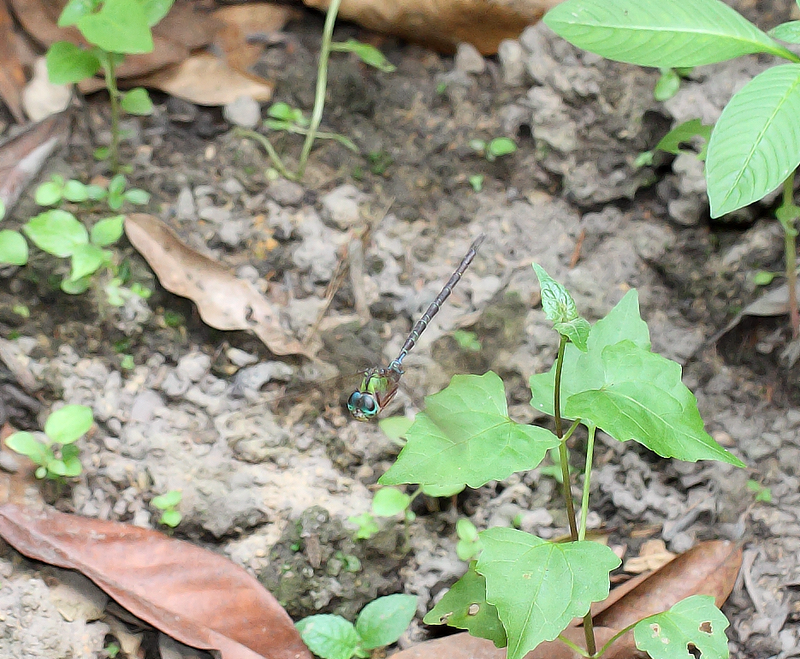 Fairly large and hide in the deep undergrowth of the forest during the day. Venture out at dawn and dusk, feeding on small insects. 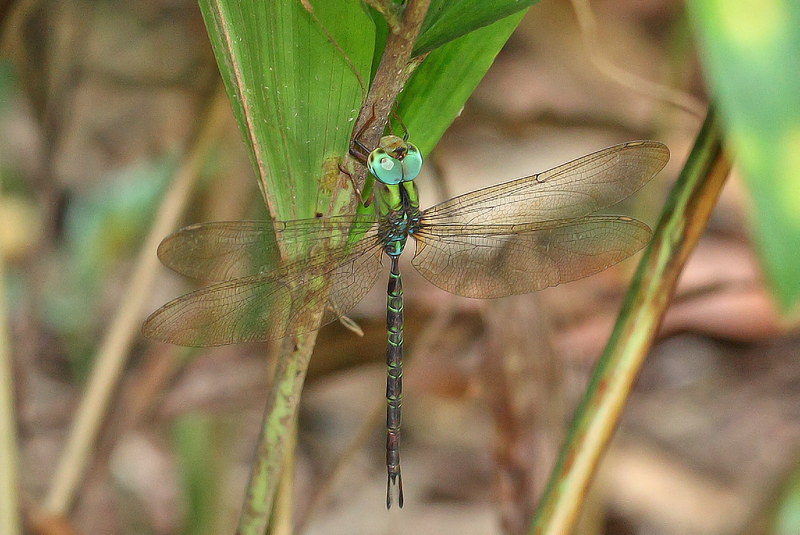 In Singapore, I have seen this species at Bukit Timah nature reserve, Dairy Farm nature reserve, Upper Pierce Reservoir and the forest at Mandai. A matured male. The pale bluish-green eyes are very attractive. Ventral side. 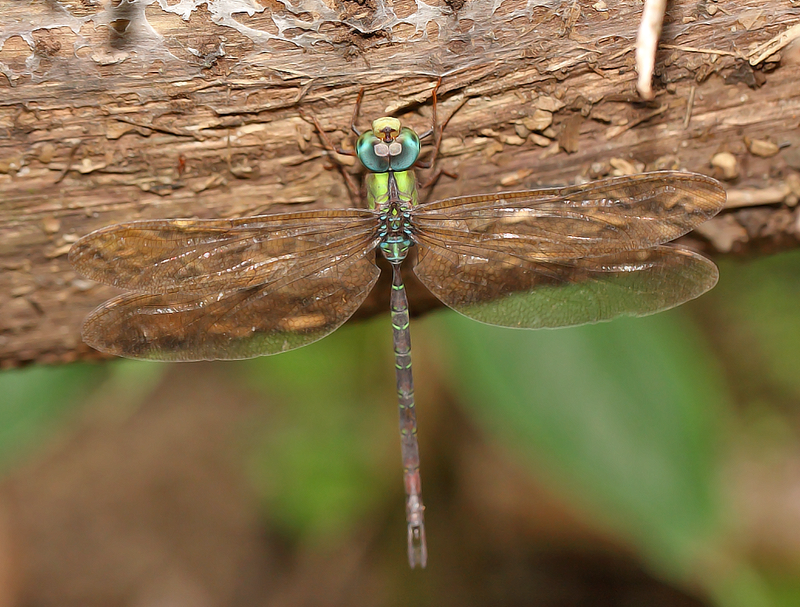 Notice the blue and green markings on the thorax and abdomen. A rare glimpse of the male in flight. Hiding underneath a tree trunk. 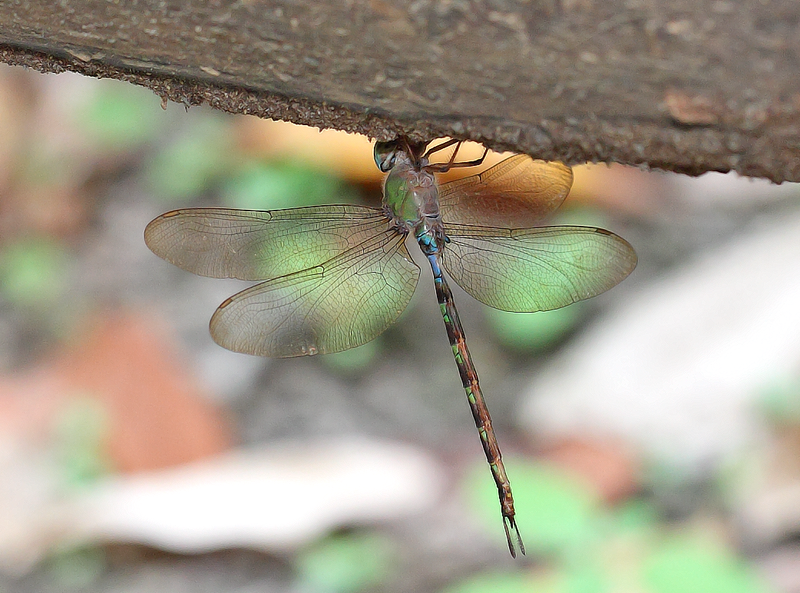 In my opinion, amongst all the species of Aeshnidae dragonfly in Singapore, this species is the most colourful.